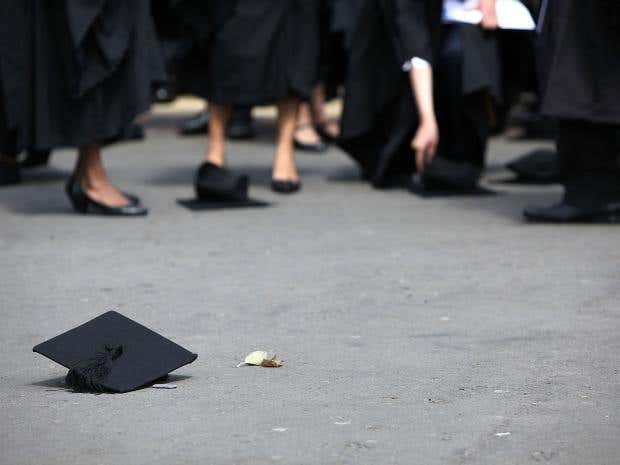 No progress is being made in reducing dropout rates among students at universities across England, according to new research. Findings have shown retention rates have barely moved since the 2009/10 academic year, and that the rates for students from the most disadvantaged backgrounds are still relatively lower when compared with others. Just over eight per cent of those from low participation areas were not continuing in higher education over the last year, as opposed to just over six per cent in other areas. The report also shows there is a group of 20 institutions where around one in ten students are not completing university after just one year. The findings, from the Social Market Foundation (SMF) and supported by student recruitment consultancy, Hobsons, has, however, shown institutions which are making a success of their student experience – with more satisfied students – are likely to have higher rates of course completion. The report, Staying the Course, comes as the SMF said in April the Government was on course to miss its own “ambitious” targetsfor widening participation in higher education by 2020; the Government has been aiming to double the proportion of pupils from disadvantaged backgrounds going university, and also to increase the numbers of students from BME backgrounds by 20 per cent. The report also shows that, while it’s typically assumed institutions that are doing more to widen participation are not likely to see higher completion rates as a result, there is a large group of universities that is making progress on both. Institutions including City, St Mary’s, Aston, Bishop Grosseteste, Lincoln, and Kingston have among the highest retention rates of all institutions for the most disadvantaged students, revealing no correlation between improving widening participation and worsening continuation rates. Author of the findings, SMF director Emran Mian, described how every student who does not continue in higher education means “a loss of potential, a bad experience for that student, and poor value for the taxpayer,” as the investment in tuition costs is likely to have a low return. Making reference to the Government’s white paper which states how “even the present position on retention represents thousands of life opportunities wasted, of young dreams unfulfilled,” Mian said the new research suggests a link between an institution’s student satisfaction and its dropout rates: “Institutions which prioritise student success are likely to see lower rates of non-continuation. Meanwhile, London Metropolitan University and the University of Bolton emerged as having the highest expected student dropout rate, according to a league table on degree completion by the Complete University Guide. While London Met had an average dropout rate of 29 per cent, Bolton followed closely behind with 28.9 per cent of first-time undergraduates who were not expected to see out their studies this year. Psychotherapist and researcher in psychological wellbeing at the University of Derby, Gareth Hughes, offered tips for students through MyVoucherCodes to help boost their university experience in order to ensure students made the right decision for them, including making as many new friends and getting involved in as many on and off-campus activities as possible.